The Water Saver Usage Meter is a great little device that monitors how much water you are using, clearly displaying the amounts. By being aware of your exact water usage it is easier to start to reduce the amount, it can also be used to help ensure that you do not over or under water your garden plants. 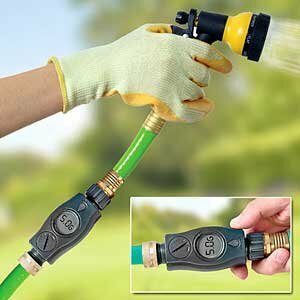 The Water Saver Usage Meter fits in easily between a standard hose pipe and a spray nozzle. It keeps track of the amount of water that passes through it, and displays it clearly on its large, impact resistant LCD display. The device can be set to display the amount in either gallons or in liters, allowing you to work with whatever measurement you are more comfortable with, this can be changed before each use. The meter has a reset button that can clear the cumulative total before each use session, and has a 10 second auto shut off to help conserve its battery power. The Water Saver Usage Meter helps you to be aware of your outdoor water usage. By knowing how much water is wasted in cleaning your car you can start to make improvements and see how much difference a few changes can make, helping you to use your water in a more efficient manner. The device is also useful for those watering outdoor plants, allowing you to ensure you always provide you plants with a set amount, preventing under watering or over watering them. Water is often an overlooked resource, conserving it is important, this meter can help you take the first few steps to reducing your usage and using water outdoors in a more conscious and efficient manner. 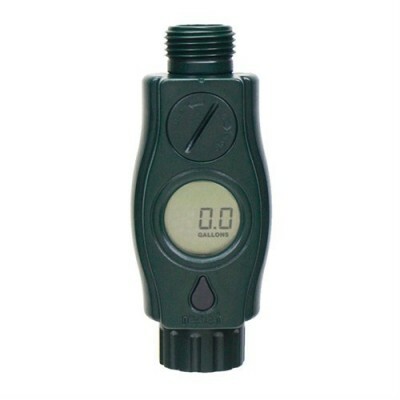 The Water Saver Usage Meter is priced at $27.60 with free shipping.